Recipe by Naiya Sheth: In earlier recipe we made Calzone Pockets with rich beans stuffing. But now it's time to cook delicious tandoori calzone muffins. As the earlier recipe, this also can be baked and fried also. But I like the baked one more. So let's make yummy, delicious yet homemade Tandoori Calzone Muffins. Mix all ingredients of marination in a big mixing bowl. Add paneer, capsicum, tomato and onion to it. Keep a side for minimum 30 minutes. Heat oil in a pan and above mixture in it. Simmer for 3 to 4 minutes. When ready remove from flame and allow to cool at room temperature. Divide into 6 equal parts. Divide pizza base in 6 equal parts. Take a ball and roll out it. Place a portion of stuffing on it and together remaining portion with finger tips. Seal it and carefully place it upside down in greased and dusted muffin mould. Bake them in preheated oven at 200`c temperature for 15 to 17 minutes or till light brown in colour. In between brush with oil at 7 minutes. When ready remove from oven and again grease with oil. 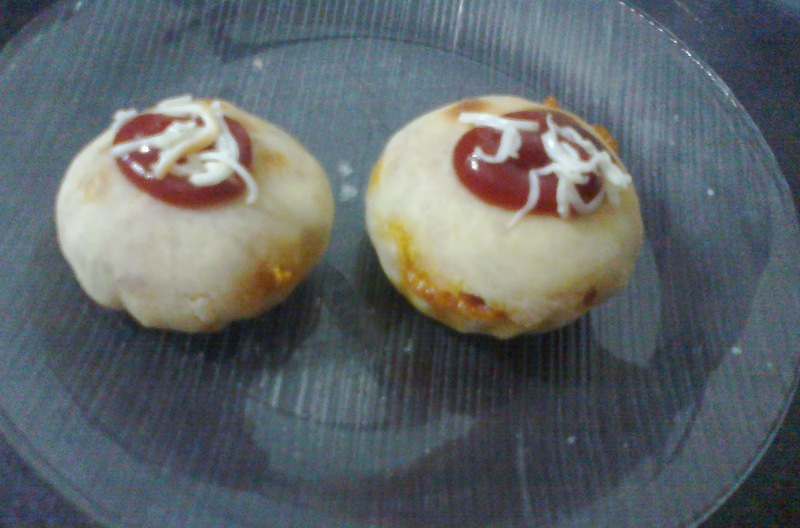 Delicious Tandoori Paneer Calzone Muffins are ready to serve. You can also deep fry these Calzone instead of baking them. They must be fried at medium flame till they are golden brown. You can make Calzone using your favourite fillers e.g. mushroom, corn, cheese, spinach etc.